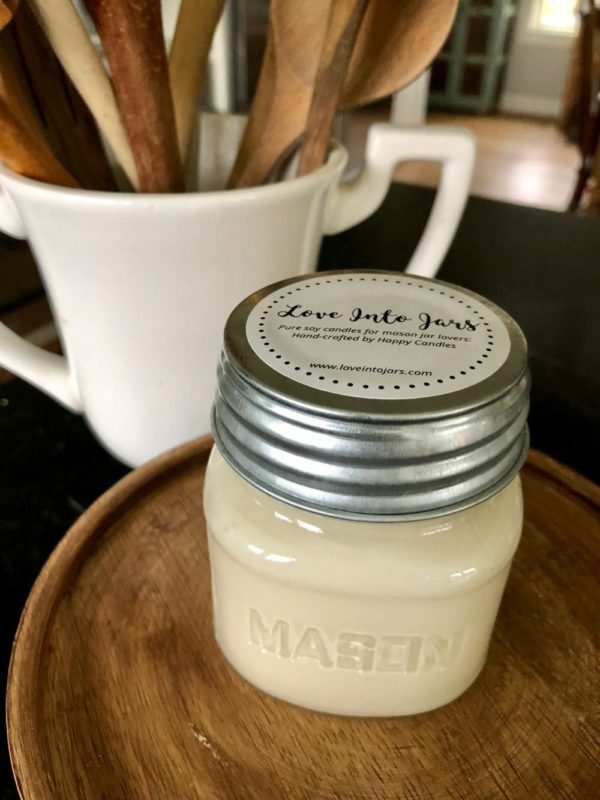 Love Into Jars mason jar candle by Happy Candles. ‘Happy’ scent. You’ll find blends of tropical fruit and sugared citrus including oranges, lemon and lime as well as a hint of violet leaf, sweet Japanese quince, sun ripened cassis, sparkling pomelo, sun weathered driftwood and lightly mountain greens. It’s a perfect gift giving candle as it is a well liked neutral scent.